I’ve been searching for ghosts in every town I’ve ever been to since I began traveling. Maybe it’s my heritage. I grew up in Hawai‘i surrounded by tales of Night Marchers, warriors who march their old battlegrounds; Menehune, small men who come to complete huge projects in a single night; and Pele, the Goddess of the Volcano who often hitchhikes on lonely roads. So I tend to believe that the doll with the eyes that open and close will wake up one night and knife the superstitious little girl inside me. Those dolls would freak out a tattooed biker out on parole. 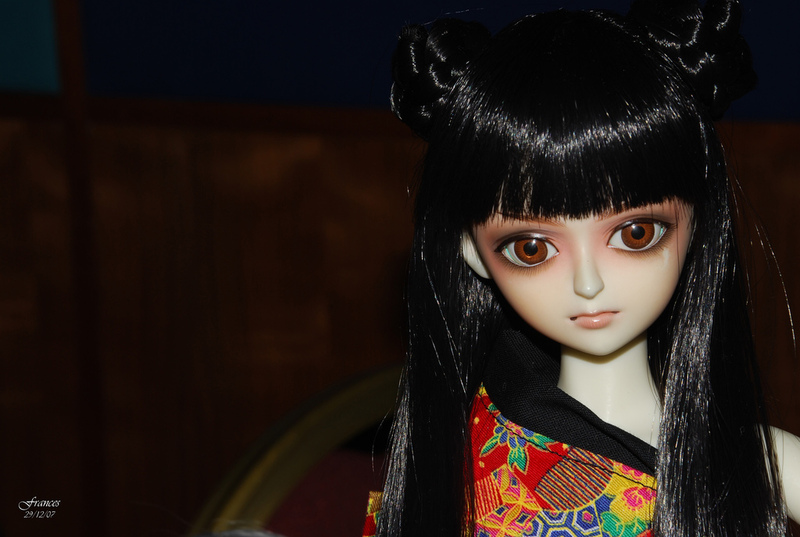 Obake (Japanese for ghost) Dolls killed with their long nails. So it may seem strange to some that when I travel to a new city, I always want to visit museums, cultural sites, and eat the local cuisine, but I also want to meet up with a group of random strangers in a dark part of town and take a walk on the wild side. And no, that doesn’t mean bar hopping until last call—which is always an option in a town that doesn’t know me. But I love trying to find a popular ghost tour to spend a few spooky hours to get some local flavor. Lately, with the popularity of all those crazy ghost hunter shows on television, ghost tours have been popping up all over the country. 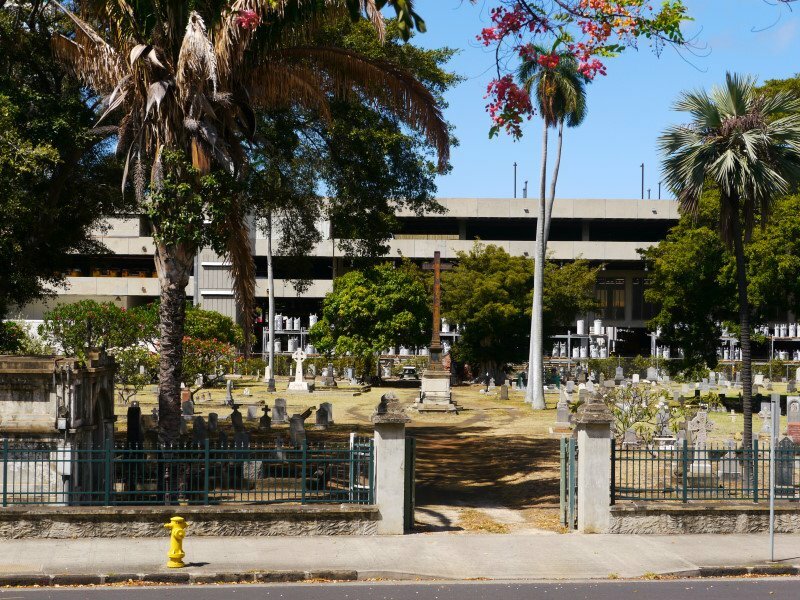 I’ve personally been on ghost tours in New Orleans and in Hawaiʻi, but I am often on the lookout for a spooky place in the cities I visit. The cool thing about taking a ghost tour is that even if you don’t see a lady in white or a man with a hook for a hand, you definitely will learn local folklore and history. And not the kind of history you’re going to learn in a tour of the town hall or at a national park. In New Orleans I visited Saint Louis 1 Cemetery where the famous Voodoo Queen Marie Laveau is entombed. I walked the French Quarter hearing tragic love stories of doomed quadroons, old legends of wronged Creoles taking revenge, and countless voodoo tales of yore, helped to color the night. 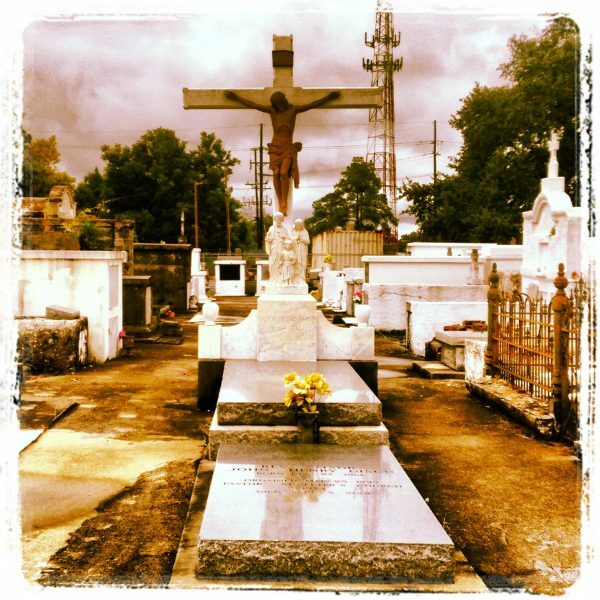 Louisiana cemeteries are ironically beautiful and filled with a strange mystery. In the Garden District I looked into the windows of Anne Rice’s house and wanted to know if Lestat was around—or perhaps I missed him walking down Canal Street. I don’t know, maybe it was the Hurricane I drank in the heavy humidity, but I swear every shadow was a VooDoo priestess shaking a gris gris doll at me trying to chase away my shudders. Even though the dolls are supposed to be good luck charms, when I received my lagniappe of one from our ghost tour guide, I think I may have left that behind with a few of my brain cells on Bourbon Street. 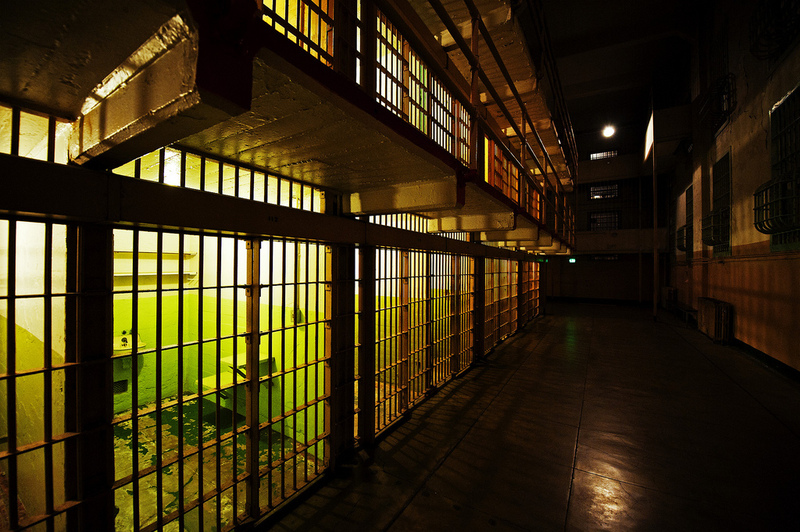 Of the many times I have visited San Francisco, I haven’t been on a formal ghost tour, though there is a walking tour of the downtown area as well as in Chinatown, but I did visit Alcatraz, and that was eerie enough. The isolation of the island, the juxtaposition of being surrounded by such natural beauty while being locked in a cell no bigger than my bathroom, really unnerved me. Ghosts of inmates and murdered guards definitely lingered everywhere on that island. Just the image of the Warden’s House as nothing but a gaping burned-out shell was enough to put a bit of gooseflesh on my arms. Maybe it was the cold, because even though it was June I was still freezing, that made me shiver. Whatever the reason, my experience on Alcatraz was definitely worth it. The chilly ride over to the island, to the huge warning sign stating that I was entering a Federal Penitentiary, and the craggy voiced former inmates narrating the tour in my audio headset, all made the creep factor rise. If you’ve been to San Francisco and looked across the bay to Alcatraz, and you’ve never been—take the ferry and get over there. My only warning: don’t go at night. Daytime is scary enough. Spooky with or without killers and murders. Photo Credit: Dustin Gaffke under a Creative Commons Attribution 2.0 Generic License. Lopaka Kapanui is the man behind Mysteries of Honolulu. Kapanui’s popular tours include walking and trolley tours of Honolulu, as well as smaller towns on the island of Oʻahu. In the next few months, he plans on also taking small groups of people on tours to the neighbor islands when he launches Mysteries of Hawaiʻi. Haunted Hawaiian Nights with a real Hawaiian. Kapanui learned all he knows, not only from his own experiences, but also from the stories collected by his mentor, Hawai‘i historian and folklorist, Glen Grant. 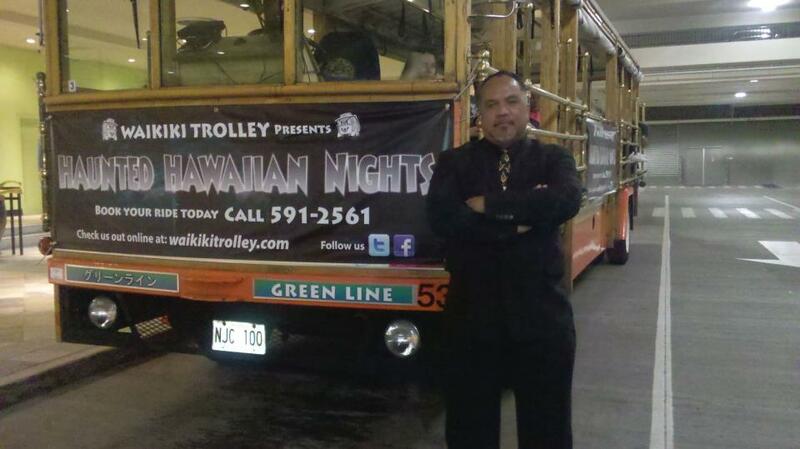 In the 90’s Grant started taking folks on walking tours of Honolulu and on trolley rides around the island. My first tour in Hawai‘i was on the Honolulu trolley tour, where Grant told ghost stories and folklore non-stop for four hours. I was so scared I think I cried for three of those hours. Not sobbing or anything that dramatic—just tears of fear streaming down my face. It’s one thing to hear about Hawaiian gods and goddesses coming back as huge giants or old crones who can light cigarettes with a fiery palm, or to hear about a long dead queen playing with a lost child just steps from her own memorial statue, but to also hear obake stories, about the aswang (a hag or vampire of the Philippines), and more versions of Hawaiian spirits re-walking their once earthly paths, are not only fascinating, but terrifying. Because I live where those stories take place. When I’m in San Francisco or New Orleans, those stories get left behind. But in Hawai‘i—I drive by, work near, and play at the same places these spirits seem to inhabit. According to Kapanui— children’s voices have been heard calling people by their first names from inside this downtown Honolulu cemetery. Kapanui will tell you not to worry, but make sure you don’t take a memento with you from the tour. Leave your flowers, your rocks, your fear behind. This is one tour you don’t get any lagniappe—unless you want a new friend sleeping next to you when you get back to your hotel. I know several hotels in Waikiki who would welcome you—as well as your guest—if they don’t have a few spare spirits checked in already. But like I said, ghosts don’t ever visit me. I promise. Perhaps one day, when I’m walking through Chicago on a tour of the waterfront, or in the Seattle Underground, or in any city around the world that offers tours of their local haunts, I might see something. And if I do, I’m not sure my fascination will ever end. Would yours? Very cool (feeling a chill here) blog, Wendie! I love ghost stories but haven’t actually gone on a ghost tour! There is a ghost map for my nearby town – Miles City, Mt., and an occasional ghost tour. I might have to take the tour one of these days! I HAVE been to Alcatraz, and agree 100% about the spooky feelings one gets from the moment you disembark from the ferry. Even though you know the inmates were incarcerated for a reason, you can’t help but feel sadness, dread and hopelessness – residual sentiments from those inmates’ souls, I’m sure! I had and “experience” while at Alcatraz. We went on a class field trip in college to do some research. The visit was shortly after the end of the sit-in era. We entered the large area that had been the visitor center. Just as we were about to go into the next section, a large piece of the ceiling fell and landed next to where I was standing. None of us felt good about the project we were about to do, and this just added to the unease. The other spooky thing showed up in a photo I took at a wedding. The Greek Orthodox wedding took place in this old stone church on the outskirts of London. I had taken a picture of the groom standing at the altar. I took it to show his friend that couldn’t make the wedding. I picked up the slides and I was reviewing them so I could put the pictures in sequence. When I looked at the picture, there was a visible green aura next to the groom. There was definitely one more entity in the wedding party that day!